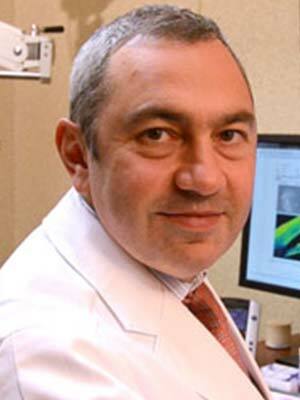 Smart Eye Care Providers Edward Rubinchik, M.D. Dr. Edward Rubinchik is a board-certified ophthalmologist with over 15 years experience specializing in cataract, glaucoma and laser surgery. Dr. Rubinchik strongly believes in the value of preventive eye care and early diagnosis of disease. He gives every patient a thorough and thoughtful examination. And for those patients who require surgery, he offers the latest techniques in laser, cataract and minimally invasive glaucoma surgeries. After receiving his medical degree from SUNY Downstate medical school, Dr. Rubinchik completed his Ophthalmology residency at Brookdale hospital with extensive training in complex surgery of the eye. As part of that training, he spent one month at Aravind Eye Hospital in Madras, India perfecting techniques not normally taught in the United States. Dr. Rubinchik is an active member of the medical community and has been a speaker for several drug companies where he discusses current topics in Ophthalmology.